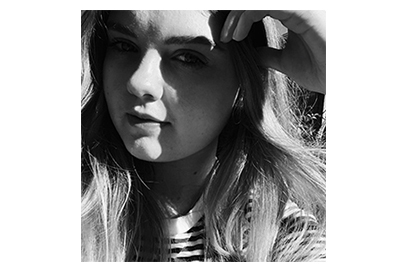 March Favourites | emma etc. Generally I haven't had much of a chance to try out any new beauty products this month because I've been a busy bee recently. I'm planning on trying out some new make-up things shortly so have no fear. I have a couple of books here to share as well as two fairly old beauty favourites that I've been using the most lately. Collection Lasting Perfection Concealer - Recently I haven't been wearing foundation every day because I don't have much time in the mornings, so I've been reaching for one of my higher coverage concealers to put mostly all over the face. I need a fair bit of concealer as my skin is very blemish central at the moment so I simply dot this everywhere. I don't tend to put this under my eyes because it's a bit too heavy for me. This concealer is actually pale enough so I don't look orange and that's one of the main reasons I like it. Lush Mask of Magnaminty - I featured this one a couple of posts back because it's my go-to mask at the moment. When my skin is being problematic, I put this all over and sit in the bath, and when I scrub and remove it feels so refreshing on the skin. It's exactly my kind of thing because I love everything minty scented. 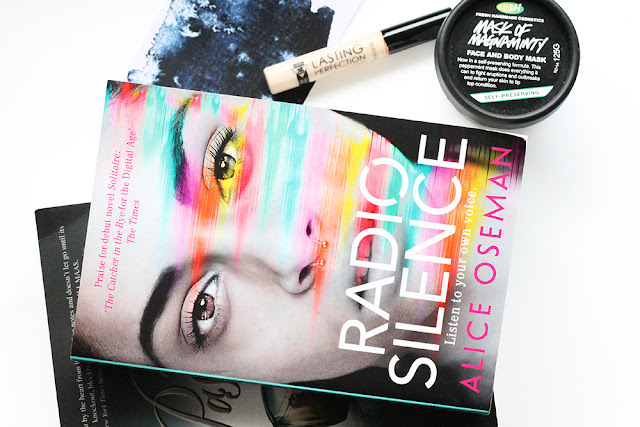 Radio Silence by Alice Oseman* - This book is now officially already on my favourite-books-read-this-year list. Frances is the top student at her school, people generally view her as a boring study machine, but she's afraid to be herself. This book is about being yourself, having the support of friends, and doing what you love instead of doing what you think you need to do. The characters in this book were so diverse and interesting (get onto it other authors). One of my favourite things about this book is that the author actually knows what teenagers and internet/Tumblr culture is like. It genuinely feels like this is from the main character's and a teenager's perspective. I found the writing style to be top notch, witty and just a bit different. I loved this so much; it sets the standard of a YA contemporary for me. 5 Stars. Passenger by Alexendra Bracken* - When looking at the books I'd read this month, I just had to include this one as well. Etta, from present day New York, is transformed through time lines and goes on an adventure with Nicholas, a time-traveller from the past. The aspect I loved about this book was the characters, namely Nicholas and Etta. I found myself ripping through the pages of this book, wanting to find out what had happened. I feel like the real story starts later on in the book, but overall it's such a good fantasy read to get into when you have a window of spare time. 4.5 Stars. Do these beauty products/books intrigue you? Let me know what you would buy or read!